Q: Who are the most prominent Australian and international authors you have promoted and provided translations of on your site? A: Throughout the past three years we have translated and promoted authors from Victoria, New South Wales, Queensland, Western Australia, and the Australian Capital Territory. Internationally, we have translated and promoted authors, literary agencies and publishers from New Zealand, United States, Canada, United Kingdom, Holland, Italy, Taiwan, China, Hong Kong, Malaysia, Singapore, Kazakhstan, and Israel. Every one of these authors, agencies and publishers is unique, in the same way that every ordinary person is extraordinary for their own reasons. Just to name a few, we have physically challenged men and women, migrants from Greece, Mexico, Austria, South Africa and Samoa, war veterans, inspirational speakers, teachers, lawyers, church leaders, medical doctors, single mothers, political prisoners, professional and amateur writers, and plenty of academics and public intellectuals, across all imaginable literary genres. They all have a special literary voice that deserves to be heard. Here, however, we would like to highlight Melbourne-based criminal lawyer Ken Oldis, whose book The Chinawoman is the winner of the 2009 Victorian Community History Award. It is one of the most challenging and valuable titles we have translated. 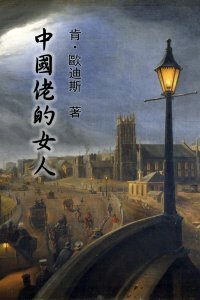 A detailed documentation of history in the form of a murder thriller, the book tells how the police-hunt for the murderers of an English prostitute fanned anti-Chinese hysteria in colonial Melbourne in 1856. Two Chinese men were captured, convicted and subsequently hanged on highly suspicious and circumstantial evidence, but public disquiet remained about police methods and the fairness of the sensational trial that was presided over by the famous "hanging judge" Redmond Barry. 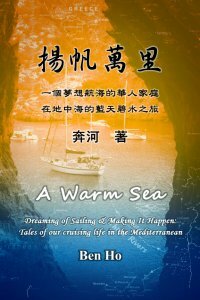 Internationally, we would like to mention Canadian Chinese author Ben Ho, whose book A Warm Sea: Dreaming of Sailing & Making It Happen: Tales of our cruising life in the Mediterranean is one of the most beautiful and culturally diverse titles we have translated. The book tells the story of a couple who decided to leave their comfortable suburban life in Canada and embark on a journey of exploration and self-discovery by living on board their sailboat and cruising the Mediterranean. Written with honesty and plenty of humour, their story is about life under the perpetual blue sky, on the warm waters of the Mediterranean Sea, the fascinating and varied cultures and histories from the Middle East to the Tuscan Islands, the warm and friendly people they met, the challenges of the boating life, and the irresistible cuisines. Q: Who is the most famous Chinese author you promote? A: Due to various reasons, many of our Chinese authors have been writing under pen names; their real identities are unknown even to us. Among these authors, perhaps the most famous is a self-described "researcher on the future of China" called "Moshi Xianren [A Mortal with Thinkings]". 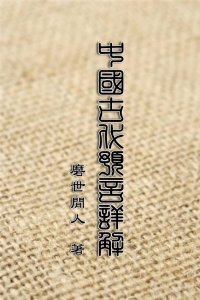 His book, titled Zhongguo Gudai Yuyan Xiangjie [Chinese Book of Revelation], deciphers and analyses the prophecies in an ancient book called Tui Bei Tu [Push Back Chart]. The events foreseen by its authors back in the seventh century include renditions of the Boxer Rebellion in 1900, the 1911 Revolution that resulted in the birth of modern China, the First and Second World wars, the Japanese invasion of China in 1937 and the Pacific War, the Great Cultural Revolution, the rise and fall of Mao Zedong and his wife Jiang Qing, and U.S. President Richard Nixon's visit to China in 1972. Most interestingly (with some political intrigue), the book predicts both sides of the Taiwan Strait will reunite peacefully to become a monarchy in 2030, and the People's Republic of China will be no more. Another Chinese author who is worthy of note here is Duan Jianhua, whose book Xizang: Ningmou Qi Nian [Tibet: A Gaze of Seven Years] is at once informative, entertaining, thought-provoking and superbly artistic. 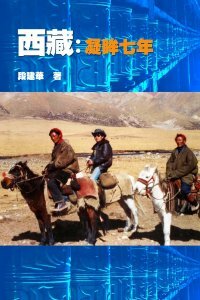 In this book, the author describes his seven years of life and work in Tibet, while reflecting upon the past, present and future of this remote land. In his words: "The issue of Tibet today is no longer one of a people, but one of politics. In this new era, any solution to issues of politics requires a new vision, new set of values and new methodology." While most discussions about Tibet in our world today are held within powerful ideological contexts, the author considers the writing of this book as simply the "realisation of a dream". Having volunteered to serve as a judge in the Tibetan High Court in 1983, he left China after the Tiananmen Square protests of 1989 and is now "outside the system, colourless and tasteless".